Can I Get Workers' Compensation For Repetitive Motion Injuries? What do bloggers, baristas, and construction workers have in common? They all suffer from repetitive motion injuries at work! Repetitive motion injuries, also known as cumulative trauma injuries or repetitive stress injuries, are caused when overuse or repetitive motions puts strain on certain muscles, tendons, or bones, causing pain or injury. Common repetitive stress injuries include carpal tunnel, tendonitis, and bursitis. 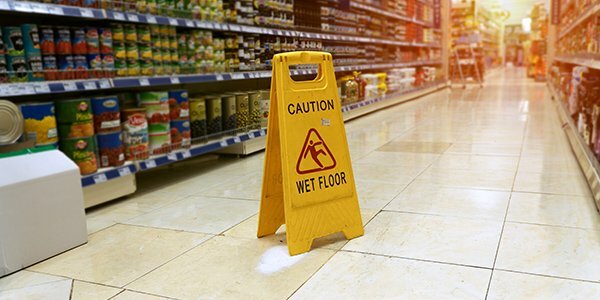 A FindLaw survey has found that repetitive motion injuries constitute 20 percent of workplace injuries. Can you get workers compensation for a repetitive motion injury? Most states do allow workers' compensation for repetitive motion injury. In these states, you need to prove that your injury is work related, meaning it was caused by your duties at work or the conditions of your workplace, or aggravated by your work. Many people believe that they cannot get workers' compensation for their carpal tunnel injury because they got the injury from a prior job. Normally, this is true. You cannot get workers' compensation for prior conditions. However, you can get workers' compensation if your current job aggravated a prior injury. For example, you got carpal tunnel at a prior job 10 years ago. You got treatment, and the pain subsided. Three years ago you quit that job, and got a new job. At your new job, you're required to type a lot which caused your carpal tunnel to flare up again. While your carpal tunnel is a preexisting condition, you can still get workers' compensation because your new job duties aggravated the prior injury. As with any rule, there are exceptions. There are a few states that do not cover repetitive motion injuries under workers' compensation. Virginia's workers' compensation laws state that an injury is only covered if it was an injury-by-accident or an occupational disease. Injury-by-accident means a single traumatic incident caused your injury. Repetitive motion injuries usually do not fit this definition. Also, Virginia's Supreme Court has held that repetitive motion injuries are noncompensable injuries instead of occupational diseases. However, Virginia did amend its workers' compensation law to permit compensation for two specific repetitive motion injuries: hearing loss and carpal tunnel syndrome. So while workers' compensation usually does cover repetitive motion injuries, check with an experienced local workers' compensation attorney to make sure that your injury is eligible.